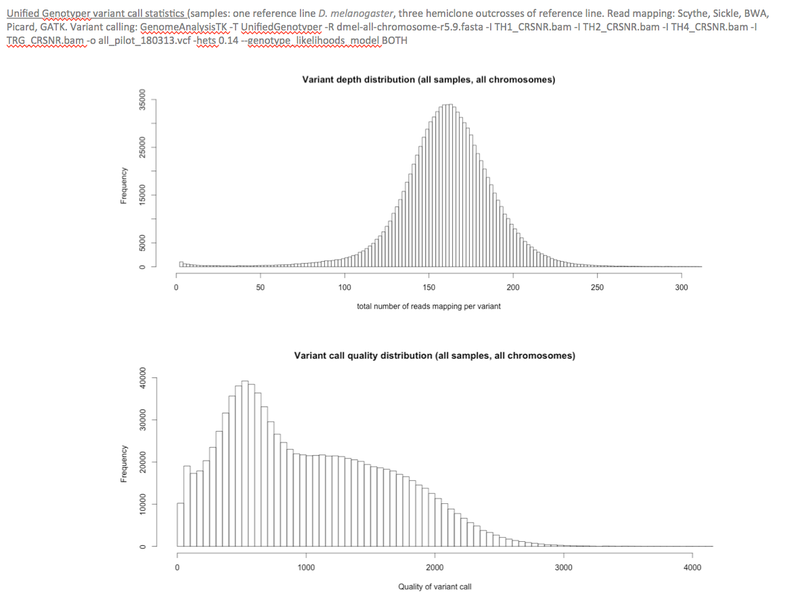 I was wondering, in the vcf output from UnifiedGenotyper what metrics go into the variant quality score, QUAL ? I'm assuming that depth, DP is one of them but I can't find further information. Apologies if I've missed it. Attached are some plots of the depth and quality distribution for variant calls, and also of the relationship between depth and quality. I'm slightly worried that the bimodal quality distribution indicates an error, otherwise I've just attached the graphs for general interest. Feel free to look through the source code if you want to see in detail how the GATK produces QUAL values. For the record, QUAL is the Phred scaled probability that a REF/ALT polymorphism exists at this site given sequencing data. Keep in mind that Phred scale is -10 * log(1-p), so these values can grow very large when a large amount of NGS data is used for variant calling. I'm not seeing any red flags in your graphs; just be sure to follow Best Practices and apply VQSR if you can, and you should be fine. Hi, dose "these values can grow very large when a large amount of NGS data is used for variant calling" mean the qualitiy scores need to be corrected by BH or Bonferroni? We do not really consider the QUAL directly. 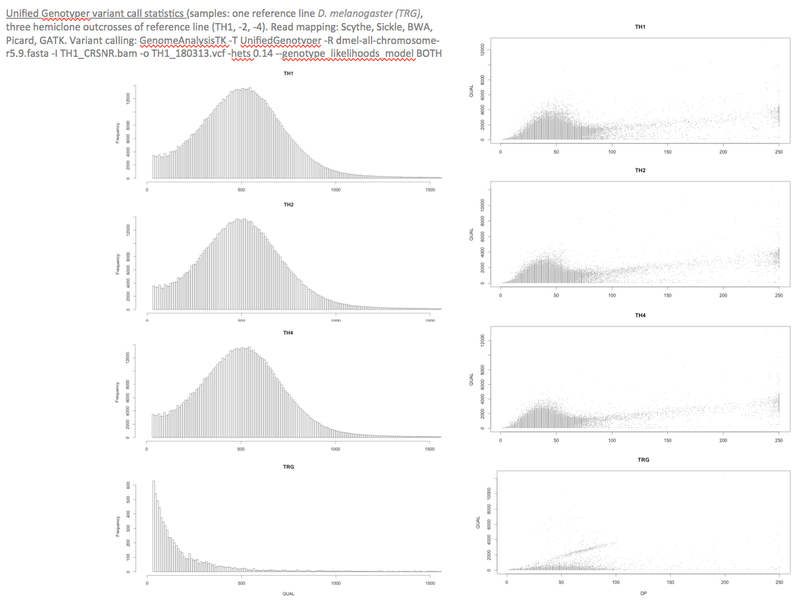 Instead, we focus on the QualByDepth (QD) which is normalized for number of reads.